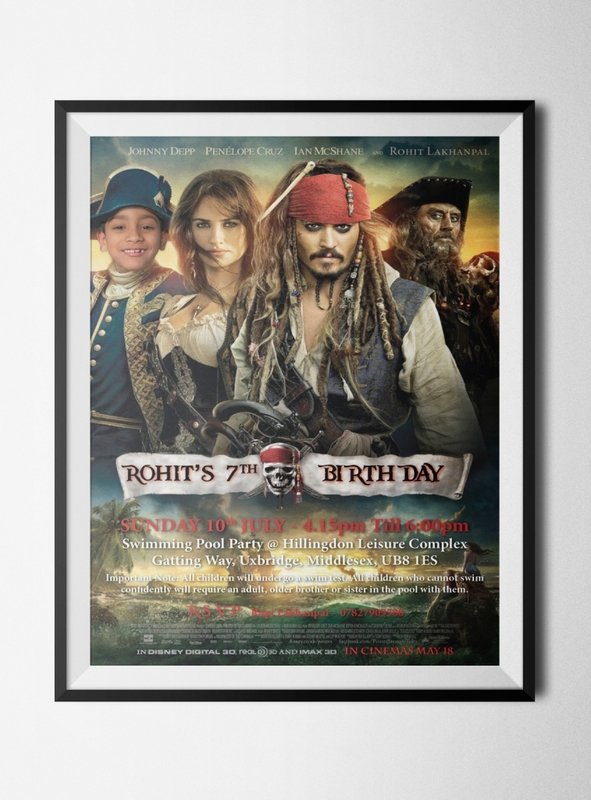 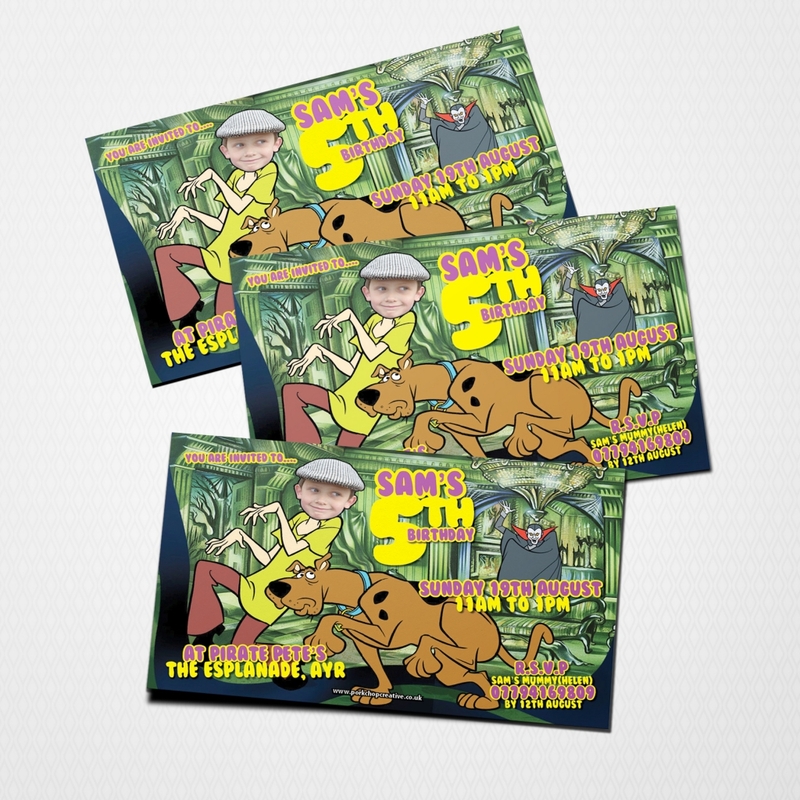 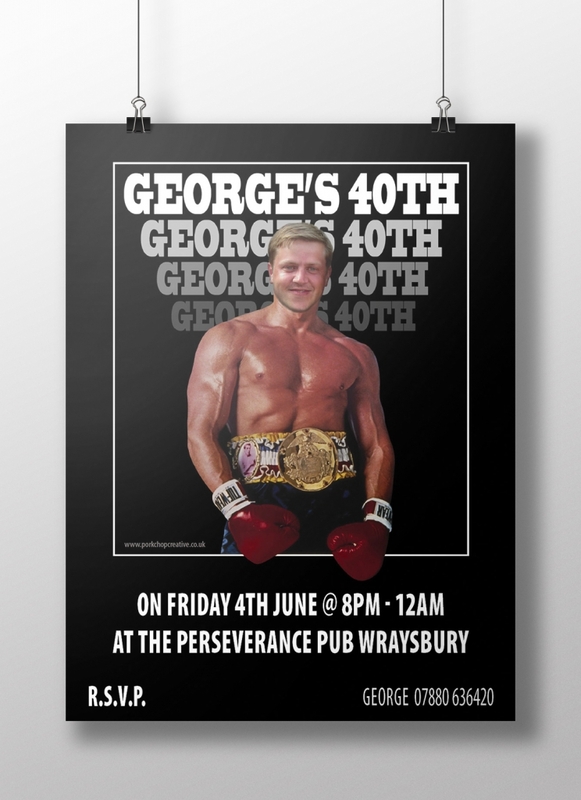 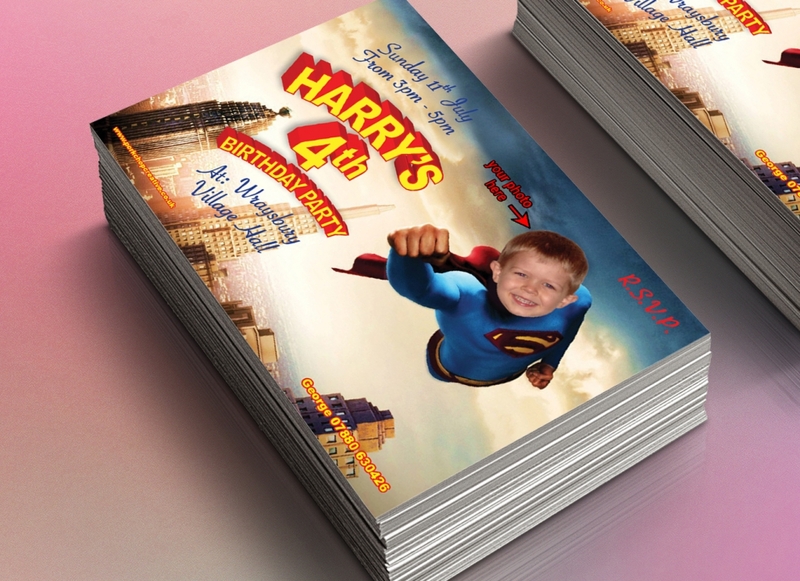 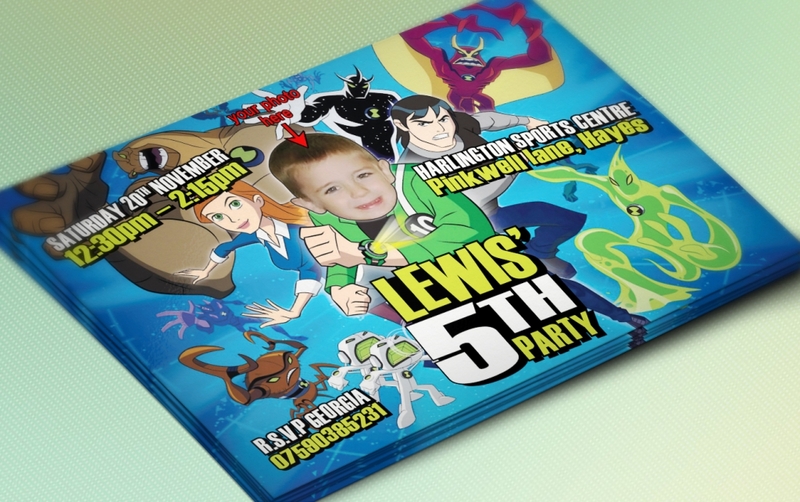 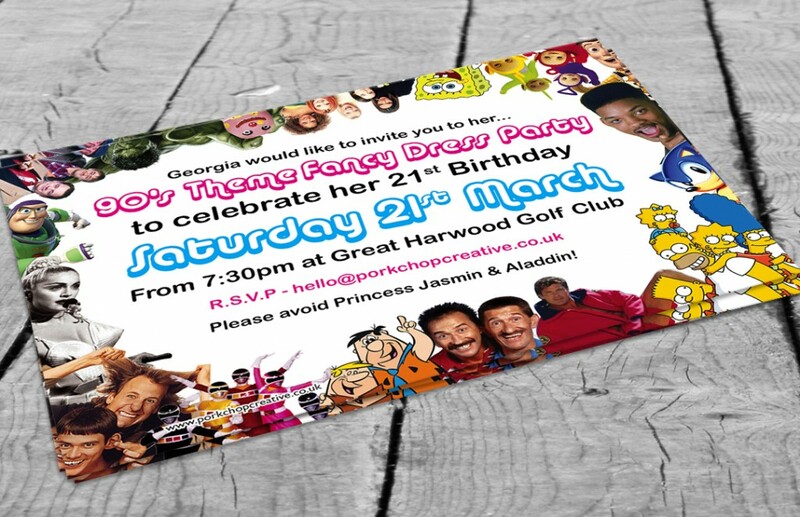 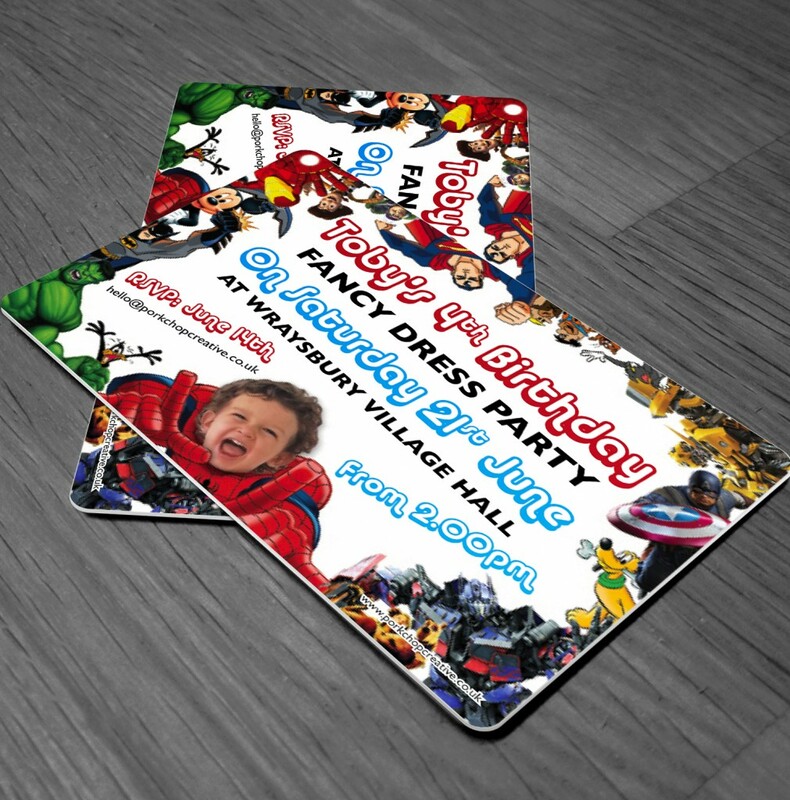 Unique Personalised Party Invitations for any occasion. 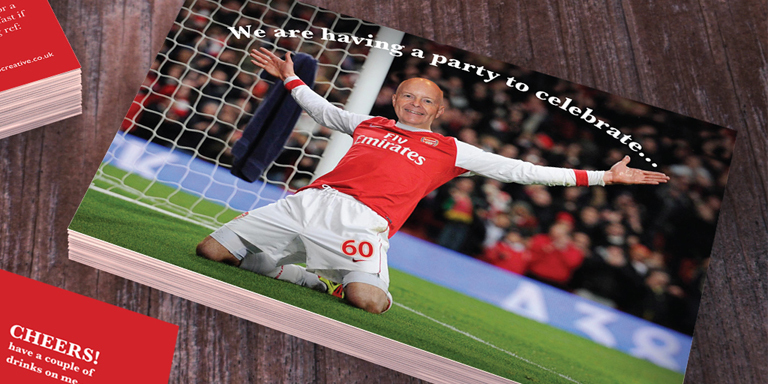 I try and make each invite special by using your text & photos. 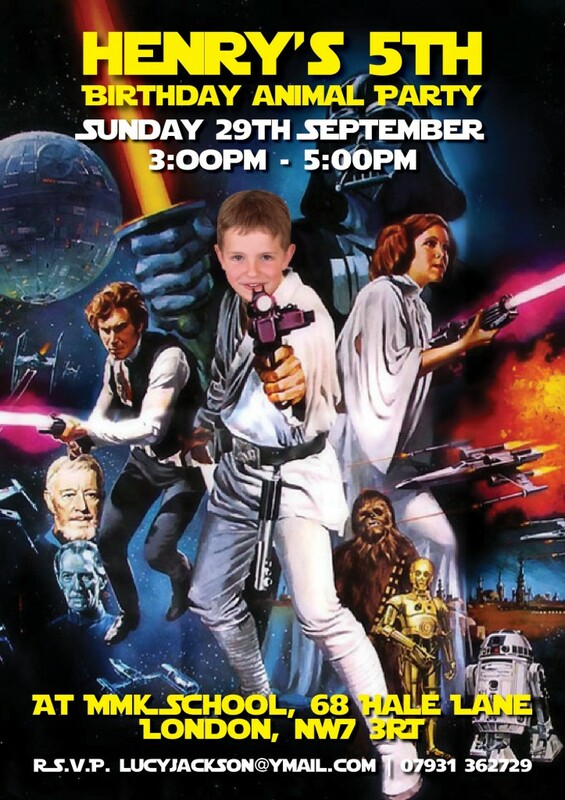 I specialise in swapping heads? 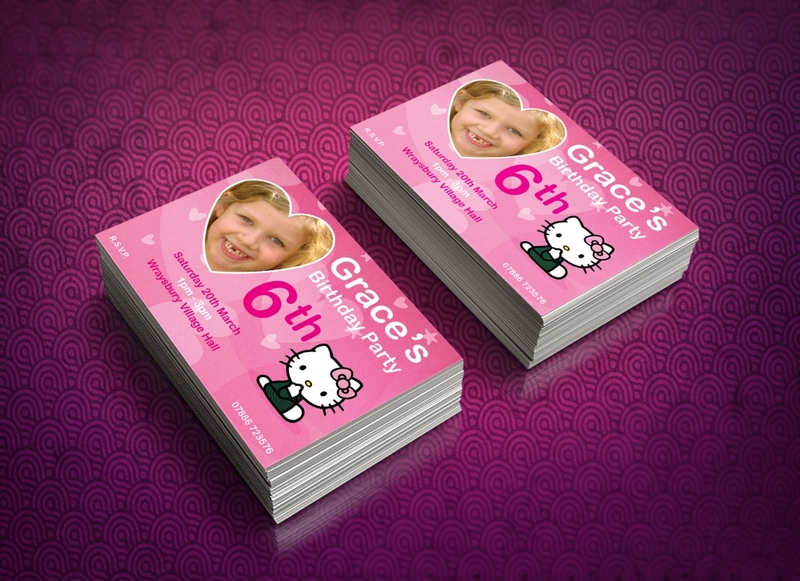 you’ll see what I mean when you browse the examples below, check em out! 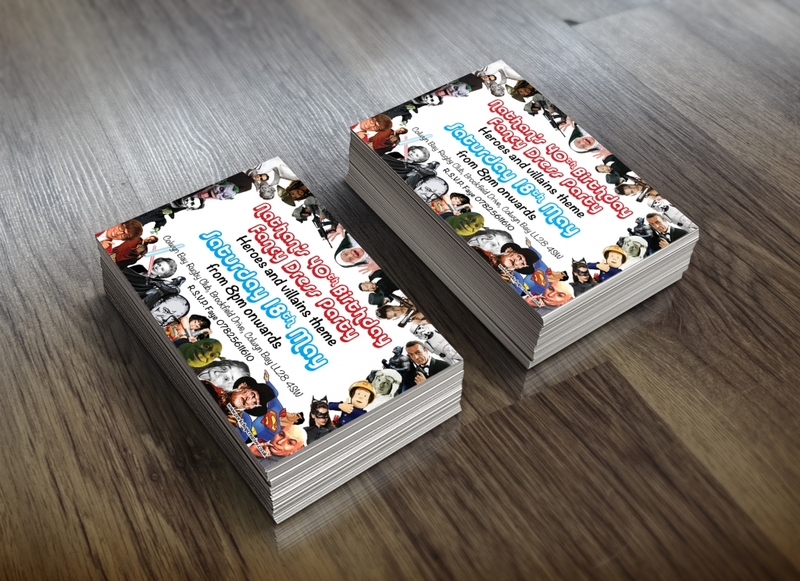 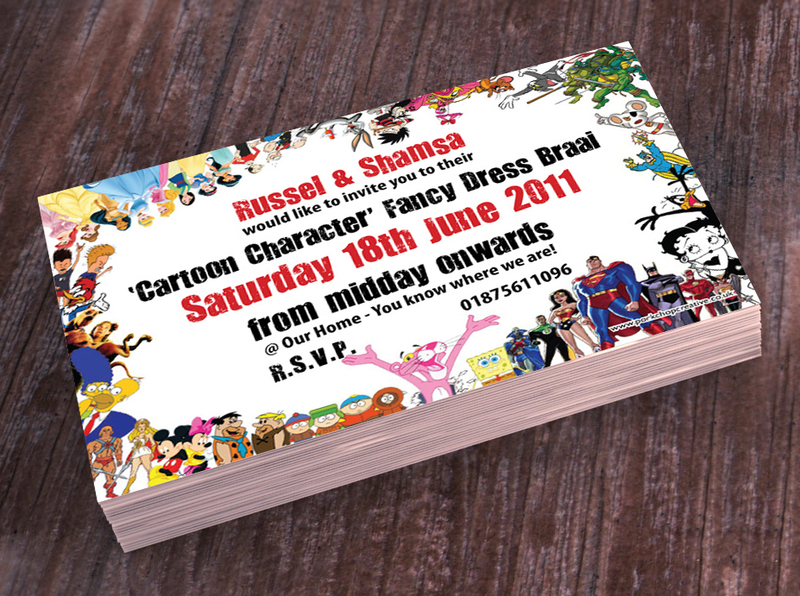 I personalise every invite to suit the occasion or the individual. 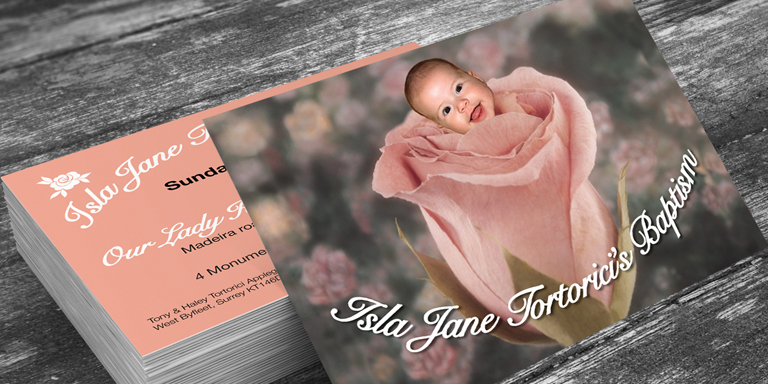 If you want something else, no problem, I can design it for you. 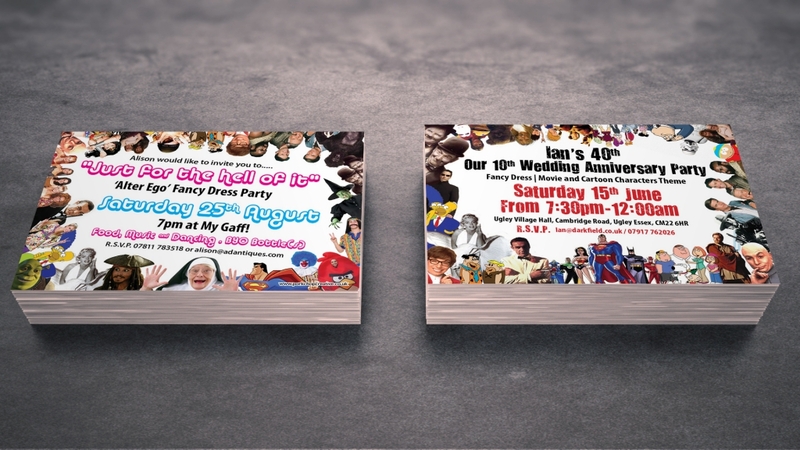 I send you a Free Proof to see before you order, so what you waiting for Get In Touch. 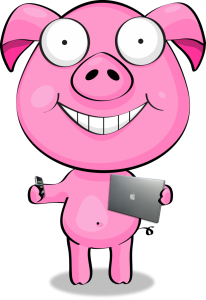 Recieve your free proof by email within 48hrs. 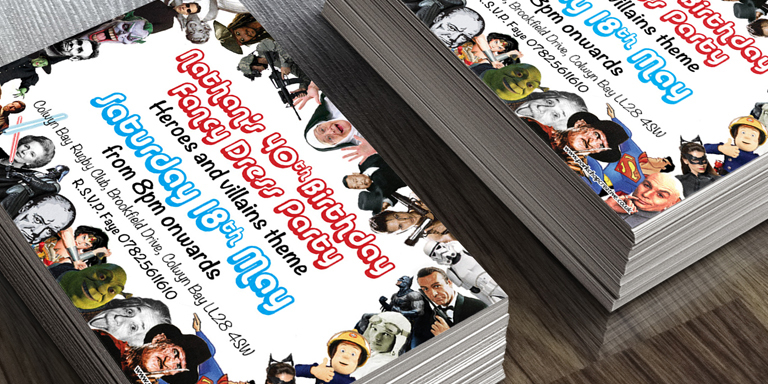 Your invites are printed & posted within 48hrs. 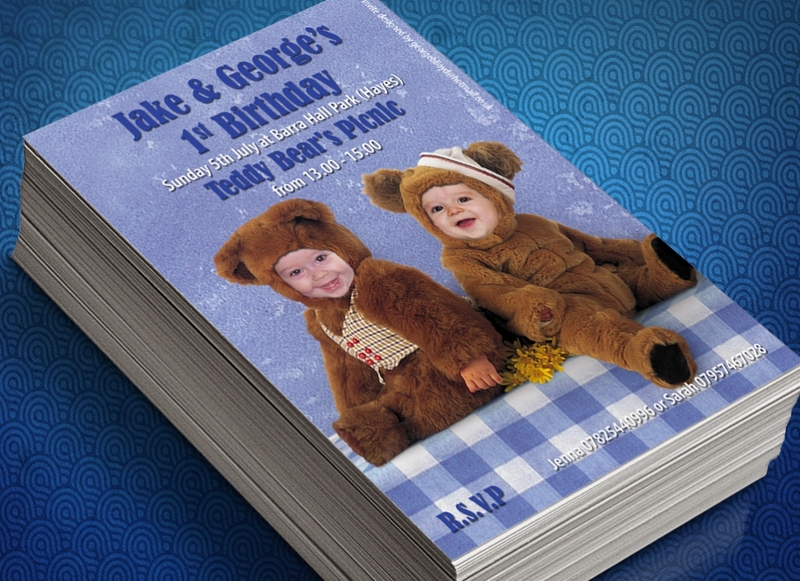 I design them using your text & photos, you will receive a free proof via email. 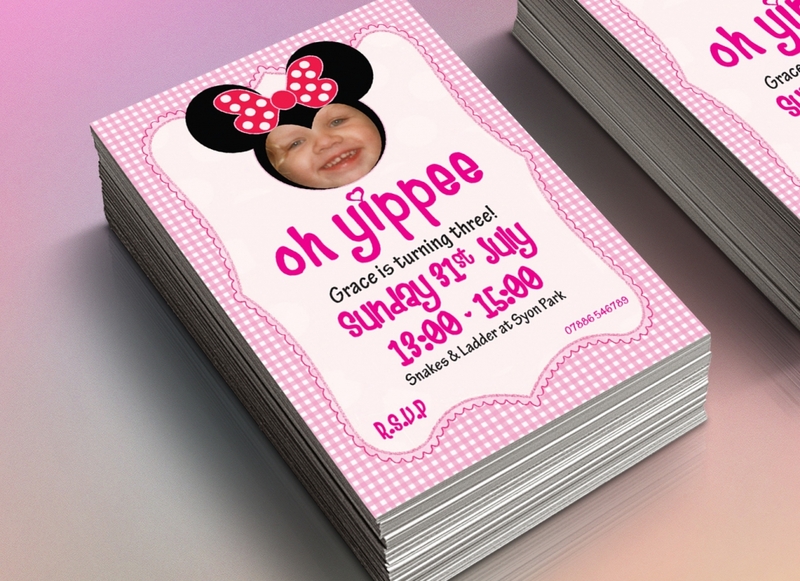 You can revise design untill your happy! 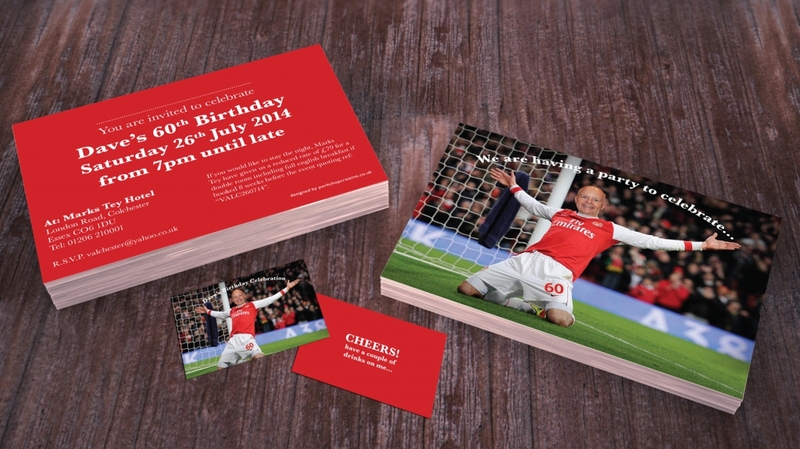 Then I send you a high res image file for printing or maybe email to friends instead? 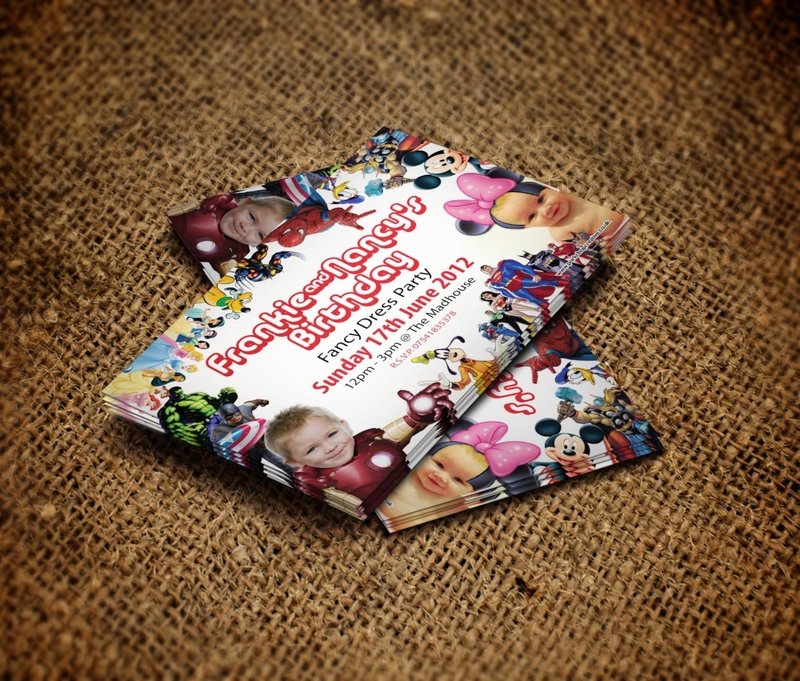 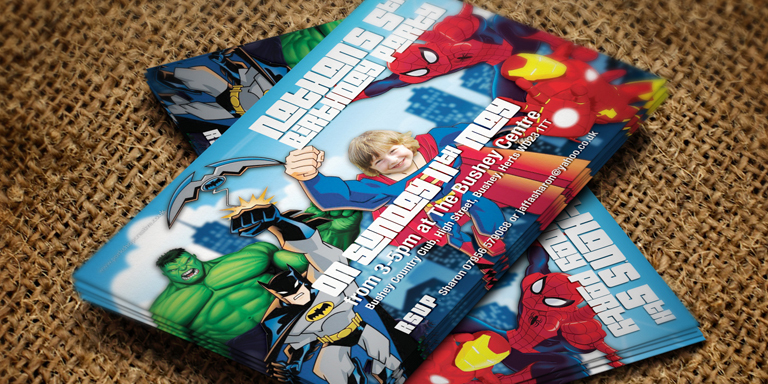 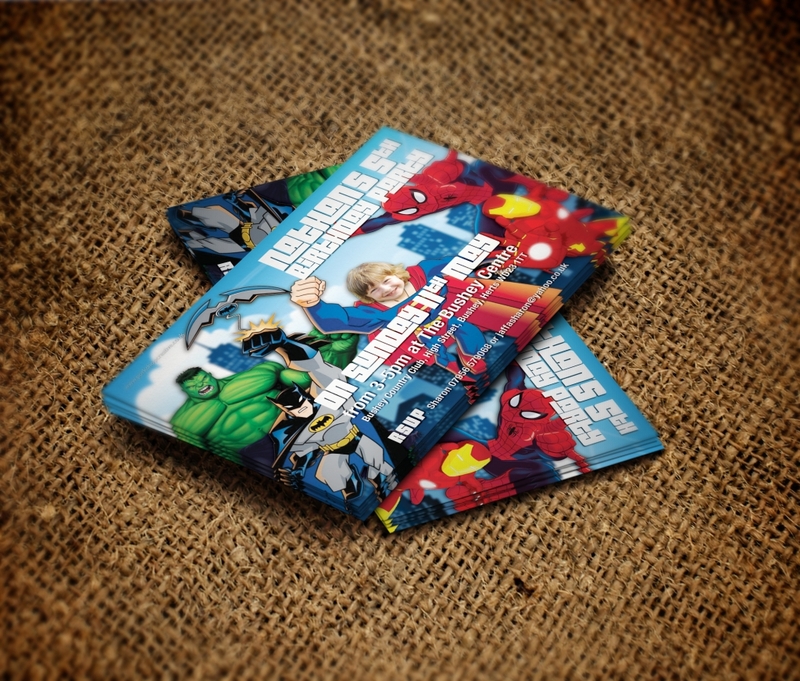 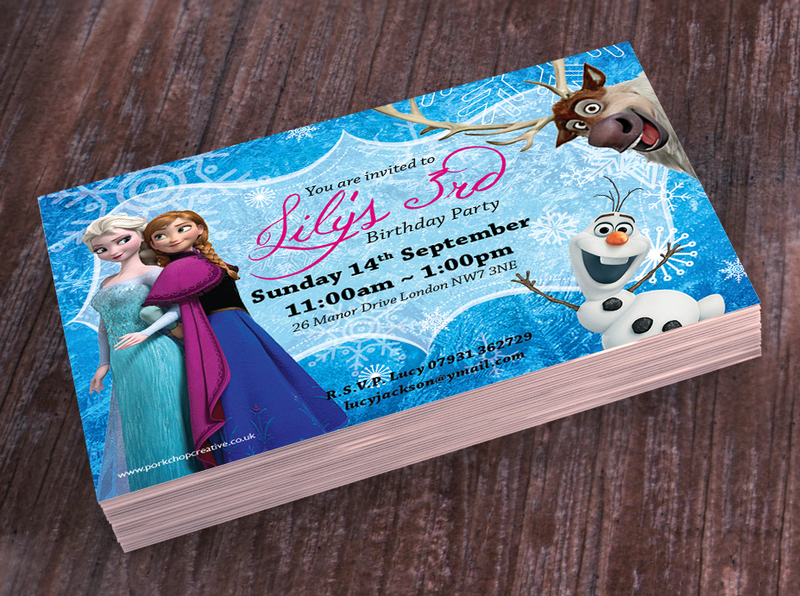 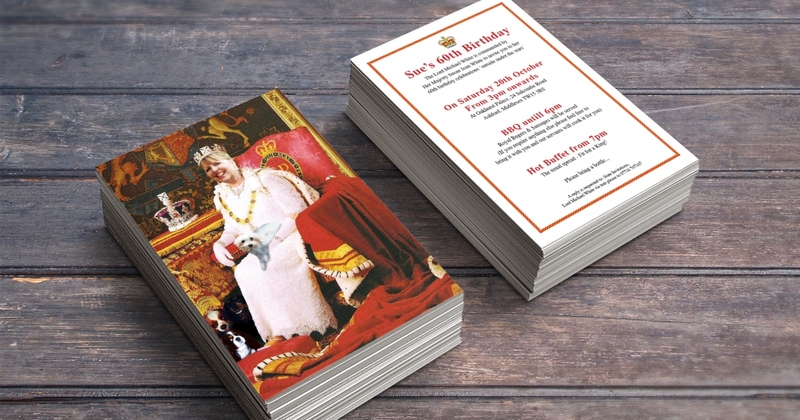 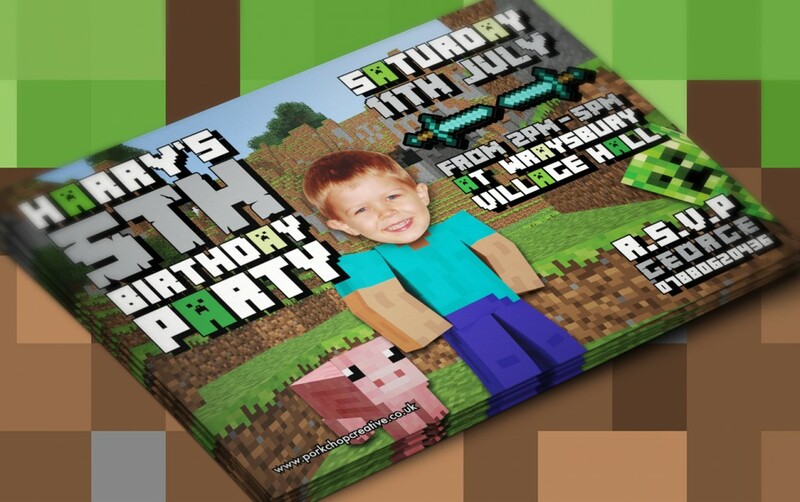 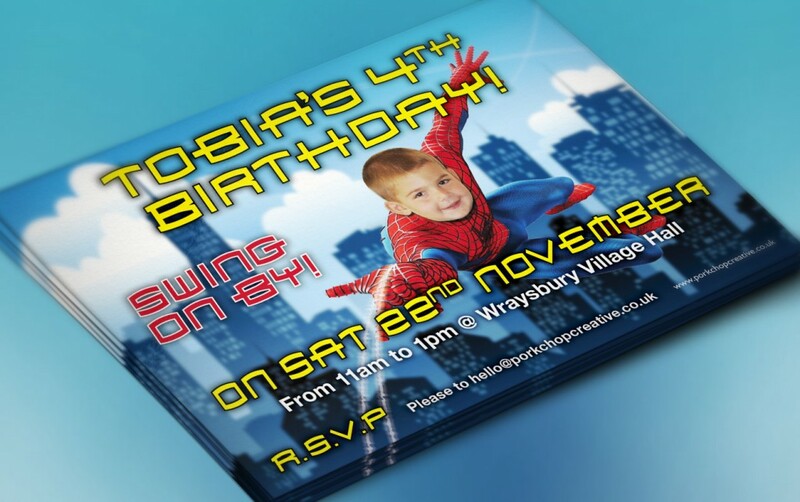 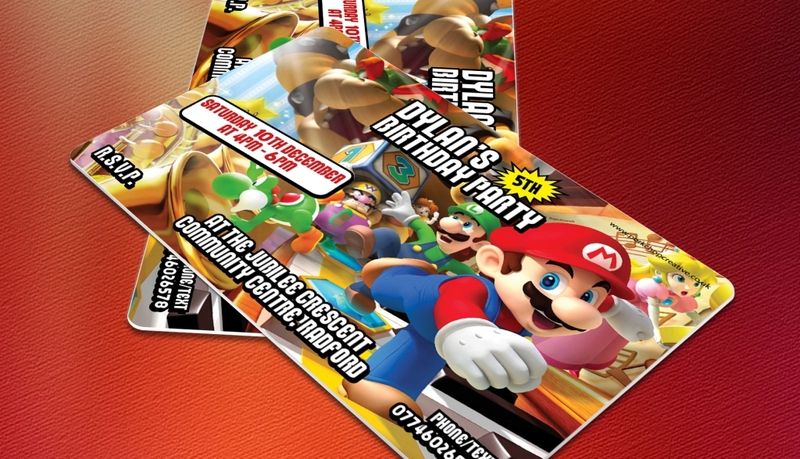 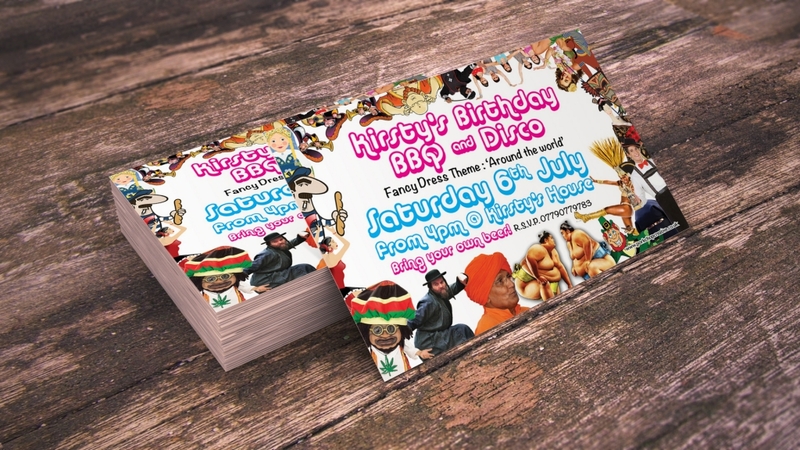 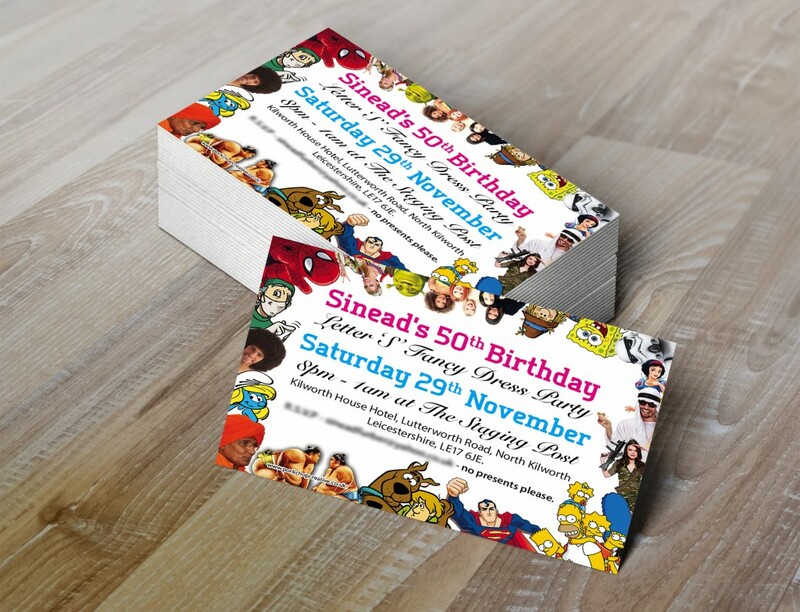 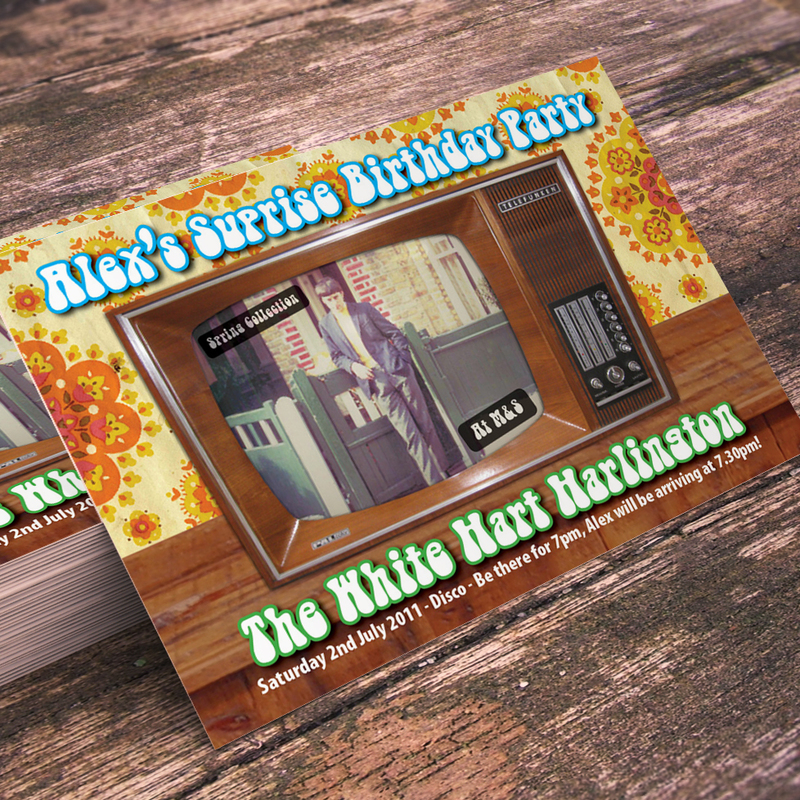 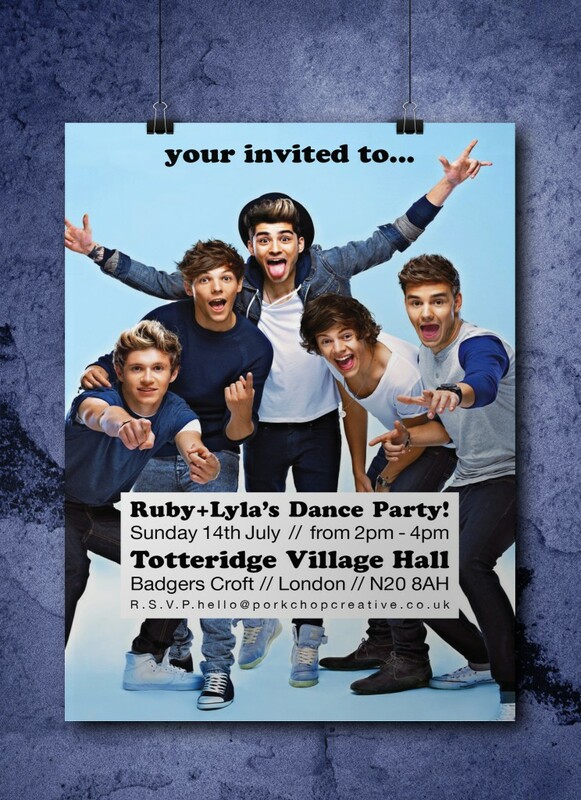 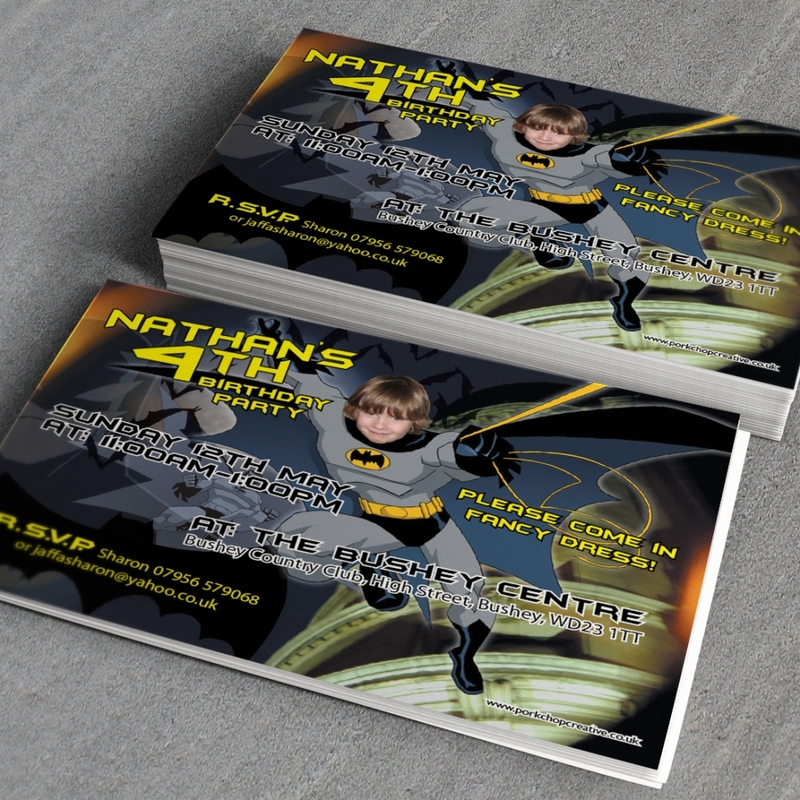 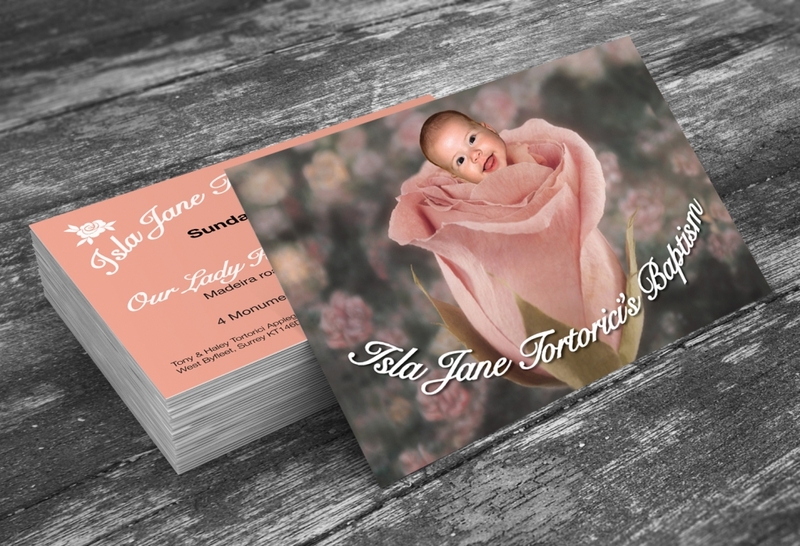 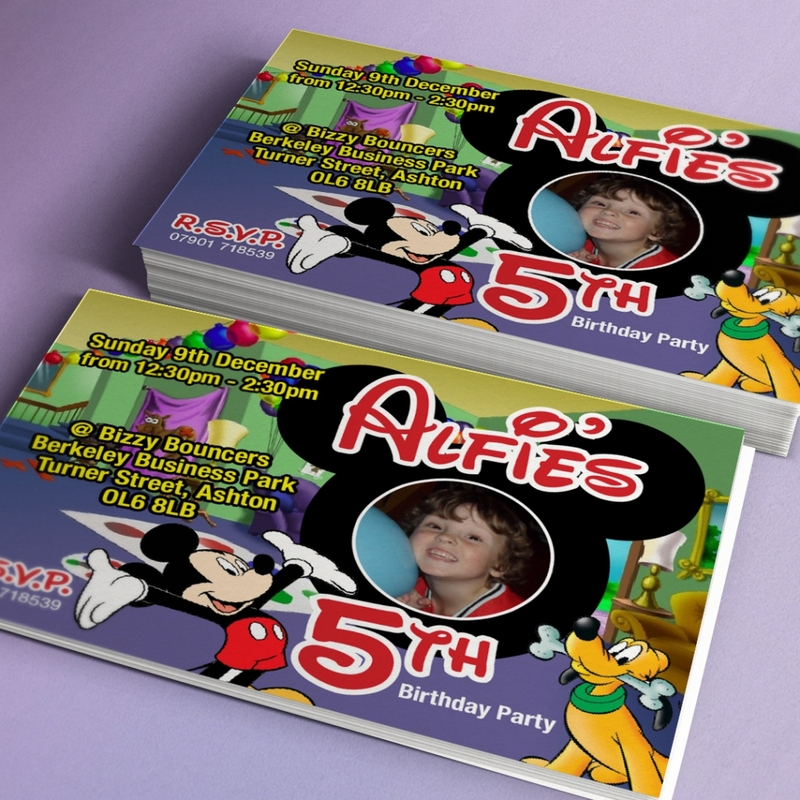 Standard invitations are printed at A6 size (148mm x 105mm). 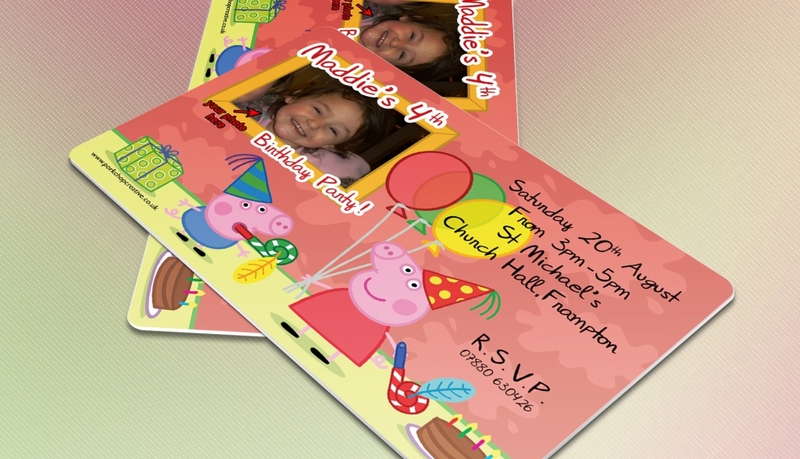 They are printed on silk finish 350gsm card stock and envelopes are included. 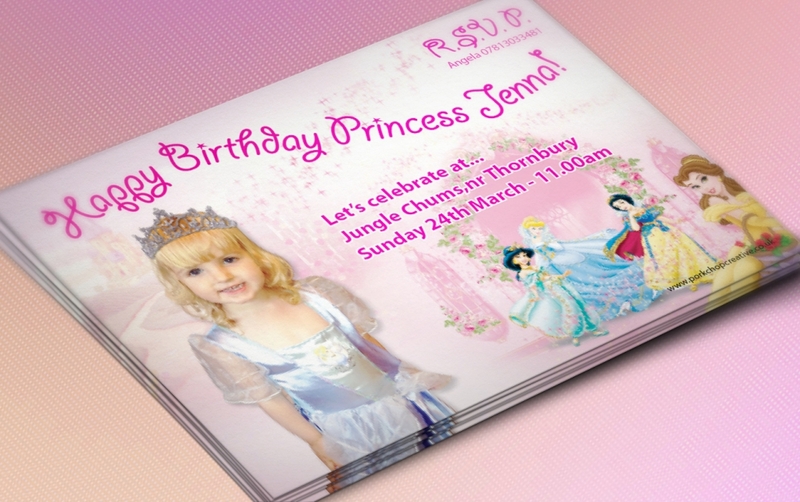 Print turnaround is 48hrs & delivery by Royal Mail.